for $179,900 with 3 bedrooms and 2 full baths. This 1,582 square foot home was built in 1964 on a lot size of 1.31. 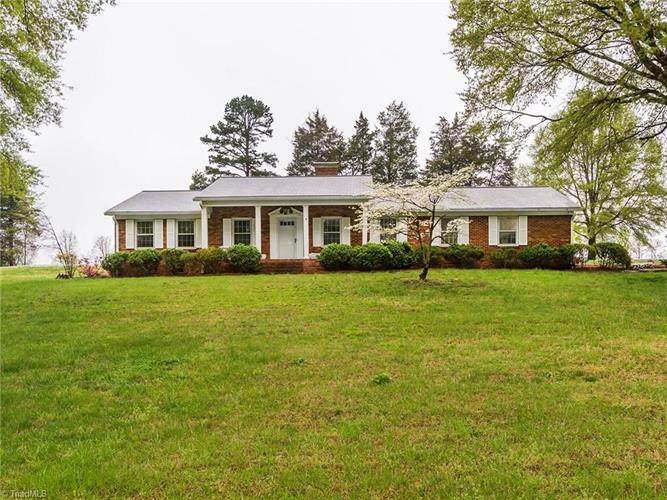 Much loved brick ranch on 1.31 acre lot! Lrge Liv Rm w/hdwd floors;Spacious den w/wood stove in masonry FP & 2 sets of bright sliding glass doors; Crisp kitchen w/ wall oven, smooth cook top, refrigerator & dining area; Mast bdrm w/ gleaming hdwd flrs & ensuite bath w/ updated vanity & tile, walk-in shower; 2 more spacious bdrms w/ hdwd flrs & good closet space; 2-car attchd; Offers room to grow . Property is on 2 parcels = 1.31 acres. House on .758 acres. Lot to left is .551 of an acre. Survey available!